Psyk, aka Manuel Anós, is a solid staple of the current techno scene and doesn't seem to have gone off course since his precocious artistic ascension. He was first initiated to the mechanical sounds of techno in his birthplace Madrid, through the musical melancholy of Plastikman, and the boiling techno of Jeff Mills. His sets in the best clubs and festivals all over the world have helped crystallize his DJ talents making him one of the most requested DJs on the circuit. 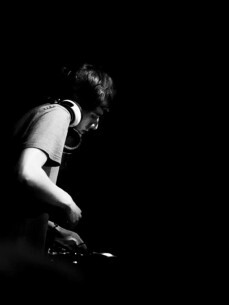 Psyk's singularity and maturity are constantly present in his music, from Distane’s entraining feverish techno to darker and deeper cuts like Lowdown, Eclipse and Arcade (with reached the top stop on the RA Chart list) all the way through to his widely acclaimed debut album Time Foundation, released on Luke Slater’s Mote Evolver imprint. Furthermore Manuel is regularly mentioned by the likes of Oscar Mulero, Richie Hawtin and Robert Hood as one of the most interesting producers in recent years. Like a conscientious artisan, Psyk approaches his compositions with care, adding somber power and energy through subtle touches, a process which has made him the subject of constant praise from illustrious artistic figures, be it through his offerings under the patronage of emblematic figures like Luke Slater, Len Faki, stronghold labels Tresor and CLR or even through his own label Non Series under his Maan alter-ego. Since its inception in 2011, Non Series has released collaborations by strings of prominent artists, from Marcel Dettmann to Steve Rachmad, Chevel, Norman Nodge, Mark Broom, Happa and Tadeo and has established itself as a reference in the Techno scene. By developing, refining and purifying his sets, Psyk is focusing all his efforts on the concretization of the ideas that agitate his mind.